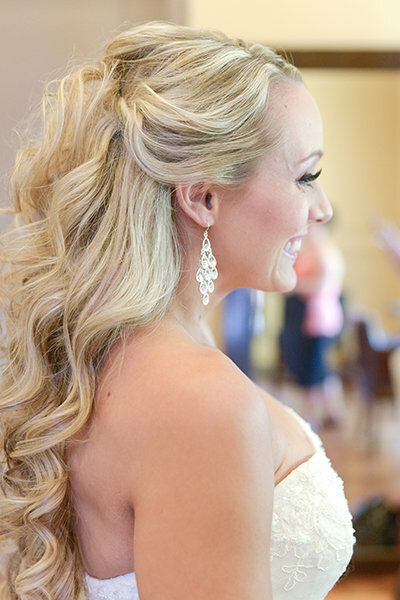 When it comes to wedding hairstyles, the half-up look is one of our favorites! The style is less fussy than a traditional updo, but looks a bit more special than wearing your hair down. (Plus it will keep your hair out of your face!) We love the way modern brides are upping the ante with romantic waves, on-trend braids, and fresh florals. 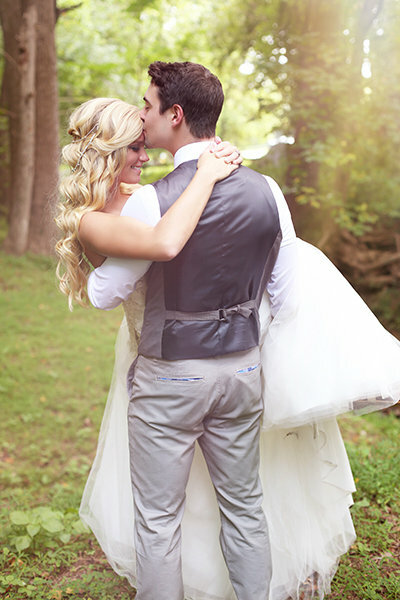 Get inspired by some of our favorite half-up wedding hairstyles below! Rapunzel-length locks are all the more enchanting with side-swept detailing and a boho-chic accessory. 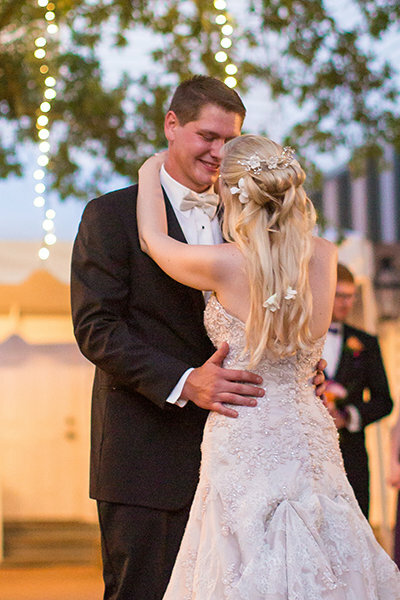 Tightly-wrapped strands anchor the teased section of this bride’s hairstyle, adding a modern twist on an otherwise classic look. For a more relaxed take, try this side-parted variation with gorgeous, fluffed-up texture in the back. Tuck blossoms around a rolled top half, on the sides, and at the very bottom of your strands — the effect is magical! These subtle flowers add elegance to the finished look. 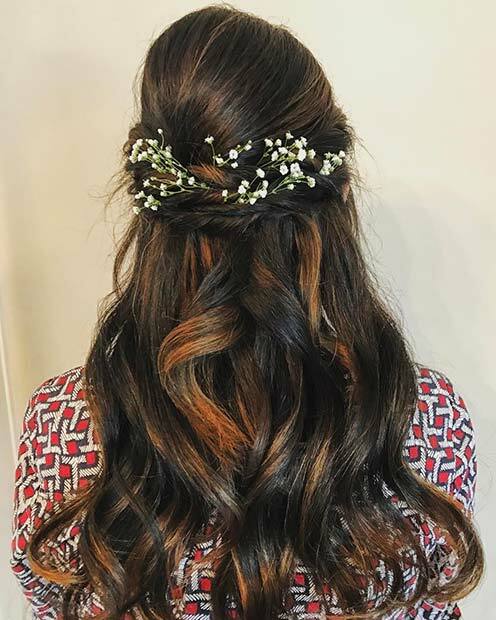 A hairstyle like this would be great for the bridesmaids to! A wavy hairstyle with lots of soft, natural texture perfectly complements a rustic outdoor setting.